Last week, the U.S. Centers for Disease Control reported a small surge in cases of a mysterious disease in children. More than 60 cases of the polio-like illness have been confirmed in 22 U.S. states in recent weeks. Now, doctors at the Hospital for Sick Children in Toronto say they’re seeing cases in Canada. Last week, the U.S. Centers for Disease Control reported a small surge in cases of a mysterious disease in children. More than 60 cases of the polio-like illness have been confirmed in 22 U.S. states in recent weeks. Now, doctors in Toronto say they're seeing cases appear in Canada. "I can confirm that since September, we have certainly seen an increase of patients with muscle weakness who also had a preceding viral illness," said Dr. Jeremy Friedman, associate pediatrician-in-chief at the Hospital for Sick Children. "These symptoms are typical of acute flaccid paralysis (AFP) and increases of similar cases have been reported by many other North American pediatric centres." Doctors do not know what causes the ailment, nor are they sure why more cases have been reported recently. Children are the victims in the vast majority of cases and doctors are not exactly sure why. 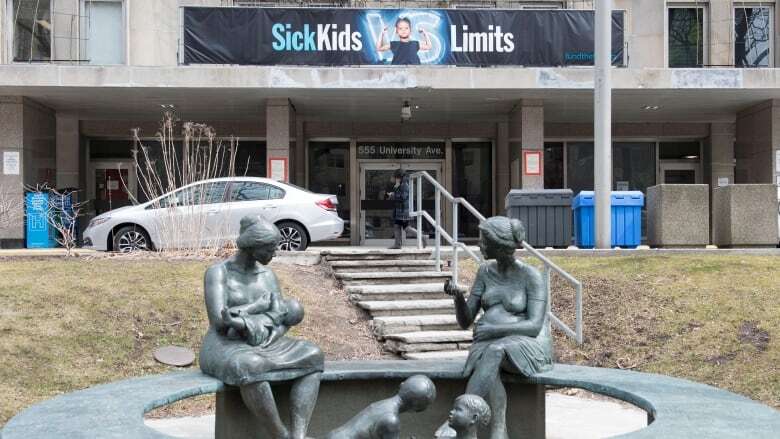 Dr. Friedman would not give an exact figure on the number of new cases in Canada, but did say SickKids has seen "fewer than 20 probable cases of AFP." Canada has systems in place, led by the Public Health Agency of Canada, to look for cases of sudden onset muscle weakness in children. Last Thursday, Public Health Agency of Canada spokesperson Anna Maddison said in an email there were fewer than five cases of acute flaccid myelitis (AFM), a subtype of AFP, reported from January to August 2018. On Monday, the agency provided an update based on the broader definition of AFP. "To date in 2018, 25 probable cases and five confirmed cases of sudden onset muscle weakness in children have been reported. This reporting includes a variety of conditions related to sudden onset muscle weakness in children," said Maddison, who also serves as a spokesperson for Health Canada, said in an email. "Currently, the surveillance data do not indicate an increase in the number of potential cases in Canada." The agency also said it is enhancing real-time surveillance of AFP based on the increase reported in the U.S. Acute flaccid myelitis (AFM) is a subtype of AFP. The ailment involves a part of the spinal cord called the anterior horn. It's the part that controls movement. Symptoms include paralysis of one or more limbs, drooping of the face and eyelids, difficulty with eye movement and swallowing, and slurred speech. Children may also have trouble breathing in severe cases and require a ventilator due to muscle weakness. In the U.S., the CDC said last week that there have been 127 reported cases of AFM this year. One child in the U.S. has died. The average age of the children reported in the U.S. so far this year is 4 years old. The pattern seen in the U.S. is similar to what doctors are seeing in Canada. "I can't provide specific patient information but I can tell you that AFP typically affects patients under the age of 15," said Dr. Friedman. Since the CDC started tracking AFM in 2014, 90 per cent of cases have involved kids 18 or younger. The total annual number of cases has ranged between 22 and 149. That they've reported 127 to date suggests that this will be a record breaking year and much higher than the 33 cases reported in 2017. Doctors are uncertain as to why cases are on the rise. There is no geographic clustering of cases in the U.S. The CDC says possible causes under investigation include viruses such as rhinovirus which causes the common cold, and enteroviruses, which cause vomiting and diarrhea. The last major increase in cases several years ago involved an enterovirus called EV-D68. Media reports in recent weeks have suggested that a virus that resembles polio might be causing the ailment. The CDC says it has ruled out the polio virus itself. None of the cases have been linked to West Nile virus. The CDC is also looking into other possible causes including environmental toxins. It's possible that the children affected have some genetic susceptibility that causes them to develop AFM when exposed to a toxin or a virus. In an email sent to front-line doctors last week, doctors at SickKids said the children they've seen have had weakness of the arms or legs. Some have had to be admitted to the intensive care unit. Dr. Friedman did not say how the affected children are doing. "We know from past experience that the prognosis and long-term effects of AFP can vary: Some patients recover fully and others experience a spectrum of long-term and even permanent effects." While AFP remains a rare condition, the current spike in cases has doctors urging parents to be vigilant. If a child "develops weakness of a limb, especially in the context of cold-like symptoms or other viral symptoms, they should see their health-care provider immediately," wrote Dr. Friedman. An earlier version of this story used the terms acute flaccid myelitis (AFM) and acute flaccid paralysis (AFP) interchangeably. In fact, AFM is a subtype of AFP.